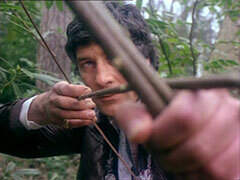 ...and Purdey and Gambit follow the trace. They reach him just before he pegs out and he tells them, "Drug drop, Wednesday.. Windsor". Meanwhile, in New York, Soo Choy and three other gang bosses - Dom Carlos (Robert Rietty), Arcarti (Ferdy Mayne) and Mahon (Bruce Boa) - discuss the impending drug deal. 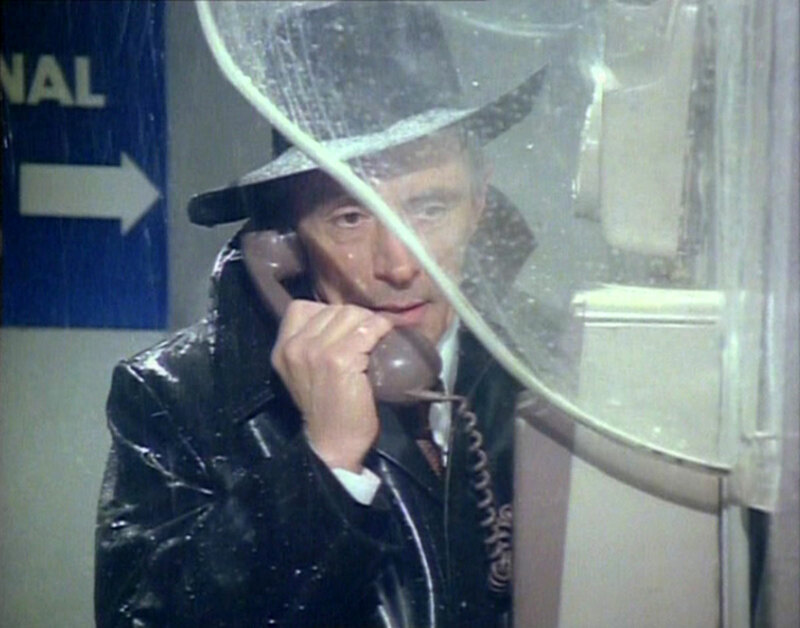 The New Avengers stake Windsor out, and are joined by CIA agent	Marty Brine (Stuart Damon) who gives Purdey an English history lesson and charms her at the same time. 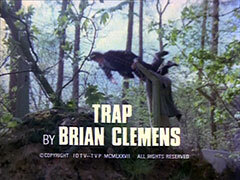 They trap the courier (Vincent Wong) and he shoots Marty and escapes, but is killed after falling from a car park roof. 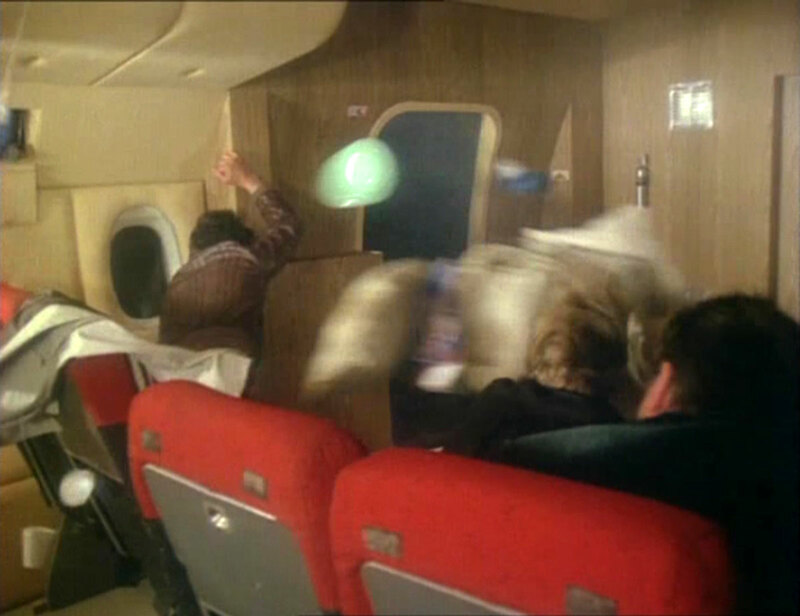 On the 'plane, they realise they travelling the wrong direction but when they try to enter the cockpit, the pilot floods the compartment with gas which Gambit disperses by depressurising the cabin. 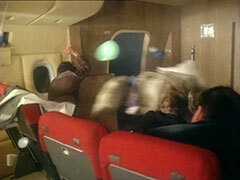 Coming to investigate, the pilot is sucked into the void and Steed and Gambit try to bring the 'plane under control. Soo Choy, bragging about his revenge is discomfited to learn they've lost contact with the 'plane but consoles himself with the sure knowledge they are already dead. Carlos doubts their death so Soo Choy decides to investigate the crash site, well inside his domain. 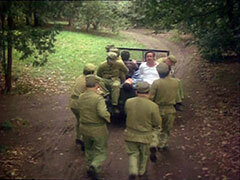 They have of course all survived unscathed - except for Steed's broken arm - and manage to evade Tansing's search party. They reach the borders of the estate but realise they'd never cross the open country to escape so turn back to face their enemy. Gambit constructs a dodgy bow and arrows, and a spear. 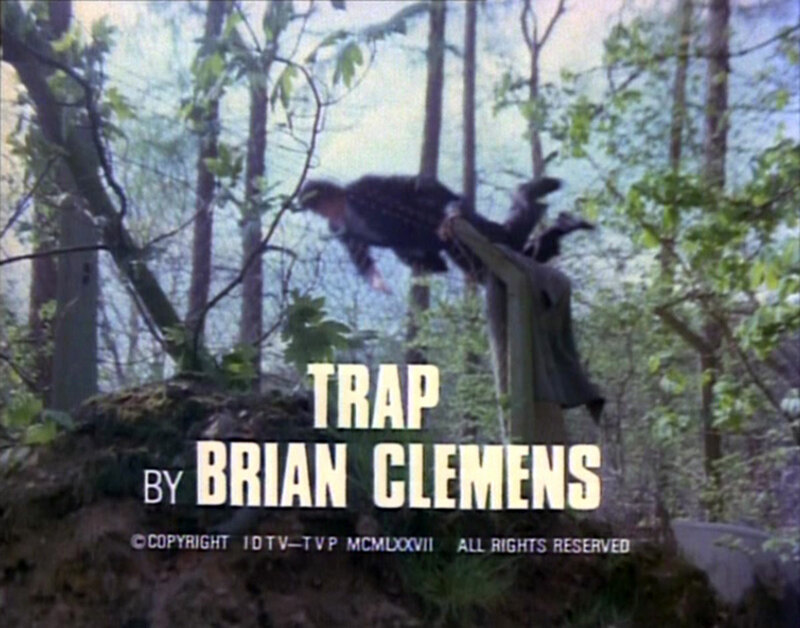 They kill four of their pursuers but Gambit is caught in a tiger trap when he tries to steal a jeep. 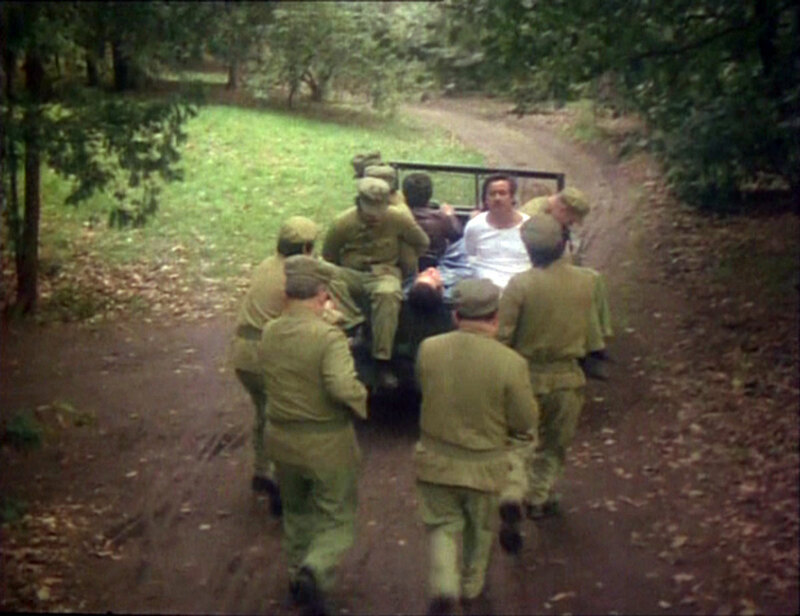 Purdey and Steed overcome Tansing after his men leave with Gambit, who is brought before Soo Choy and has his head put on the block and Choy places his sword against his neck... 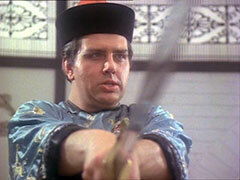 He is reprieved by Choy's ego - he wants the New Avengers to see each other perish. Steed disguises himself as Tansing and radios in to say Steed is dead and the girl caught - they infiltrate Soo Choy's base, overcome Soo Choy and his guards and capture the syndicate. Once again, Arcarti rightly calls Soo Choy a "dumb head"
Purdey and Gambit laugh about having a cargo of "Chinese takeaway" as they drive off with Soo Choy and his men.